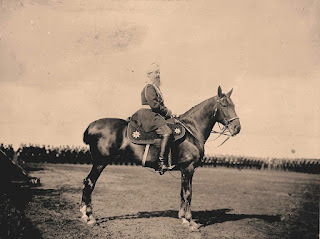 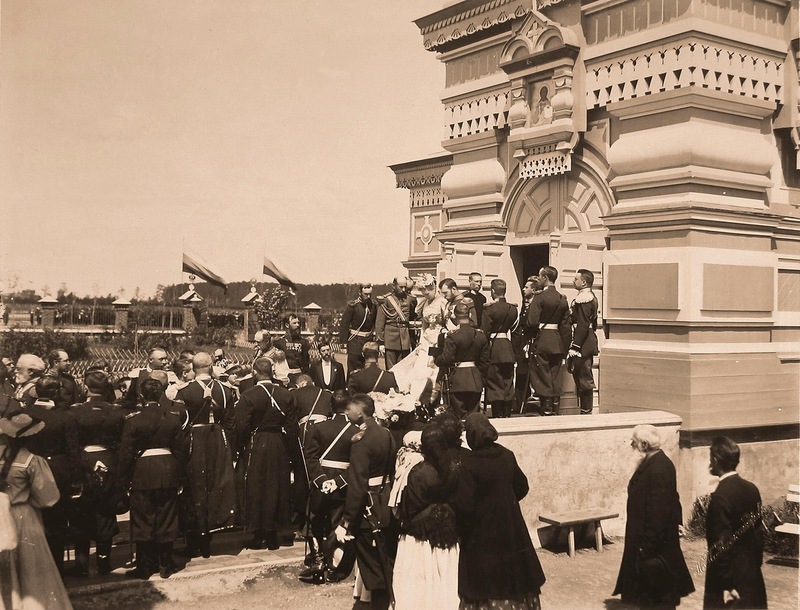 There have been many articles, books and photographs published on the Moscow Coronation of Nicholas II in May 1896. It was stunning to realize when viewing a series of photographs how close the Khodynka Field was to the Petrovsky Palace (below). 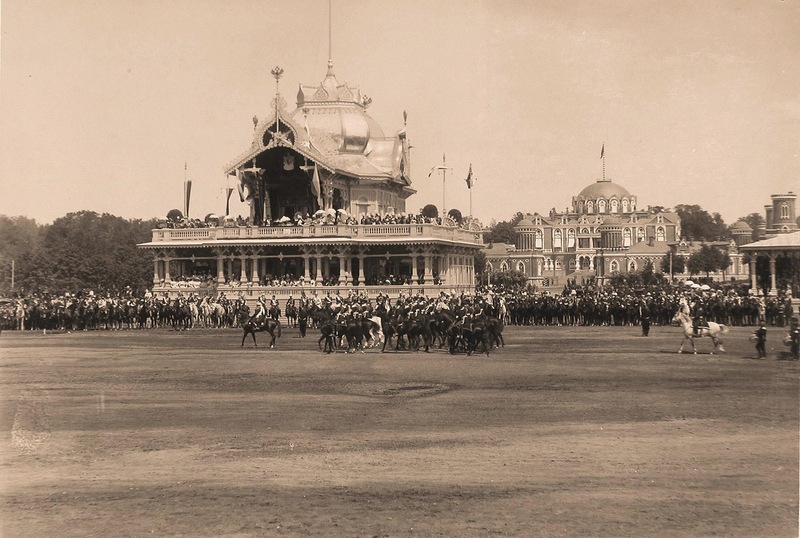 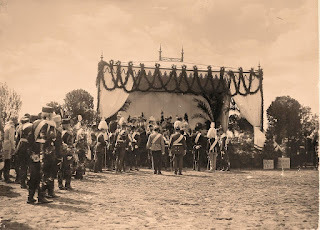 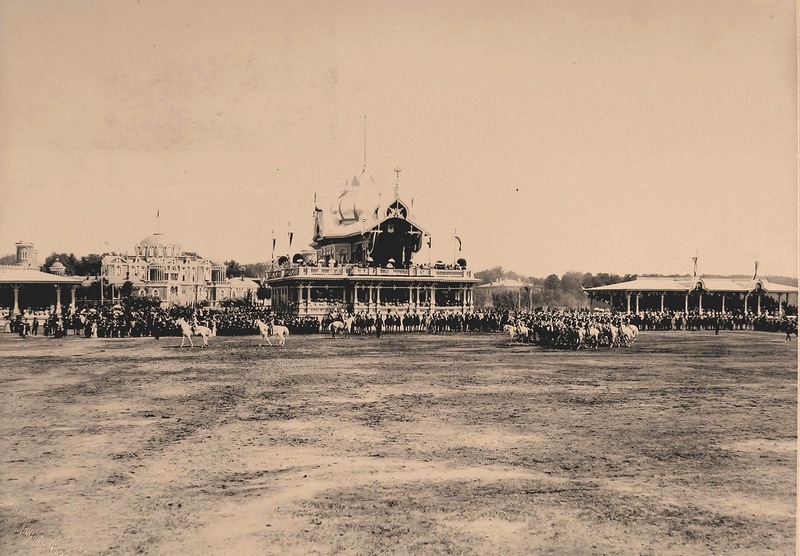 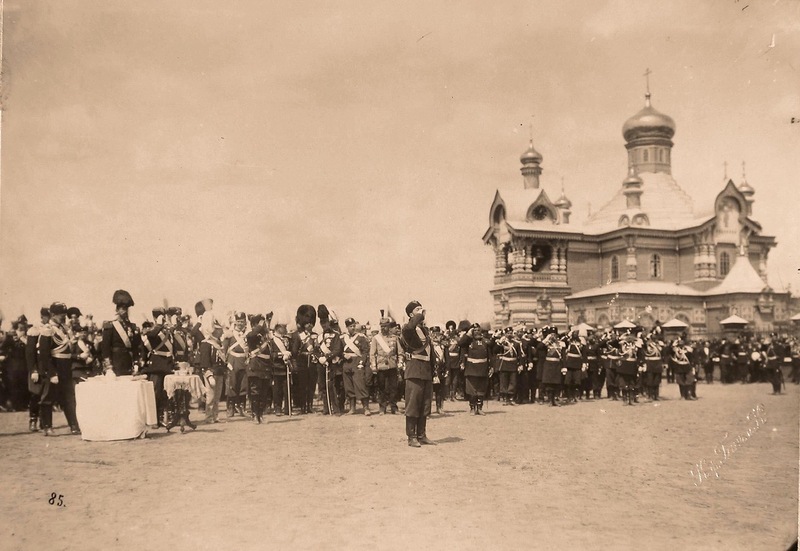 Photographs (below) as follows: Empress Alexandra’s Carriage, Grand Duchess Victoria Melita’s Carriage, Grand Duke Mihail Nikailovich, Imperial Tent, Nicholas & Alexandra leaving St. Sergius of Radonezh, Nicholas II drinking health of the Regiments. 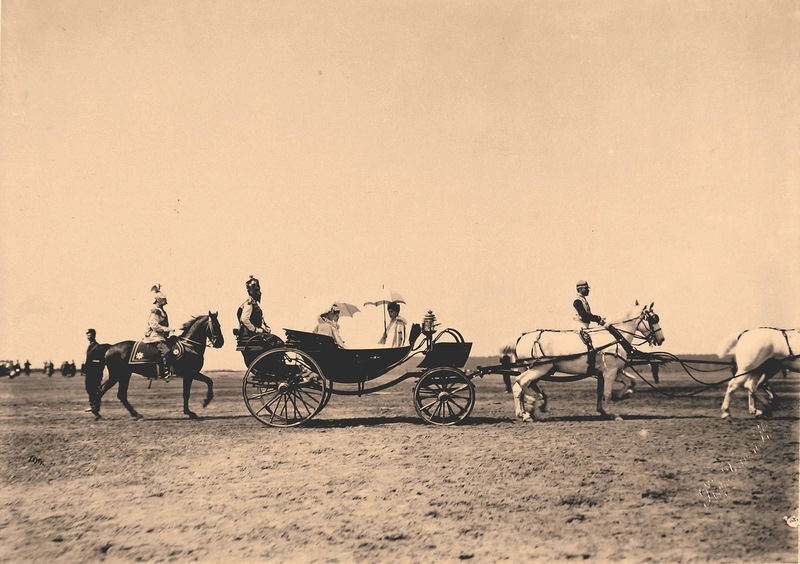 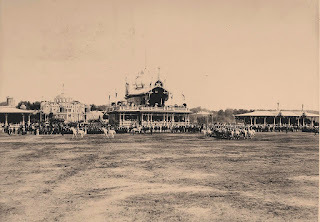 It was captioned as the Empress' carriage in the photo album. 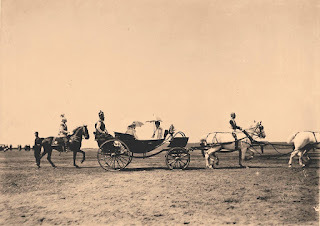 Could it be Victoria Melita's mother Grand Duchess Marie A. and her sister Sandra?